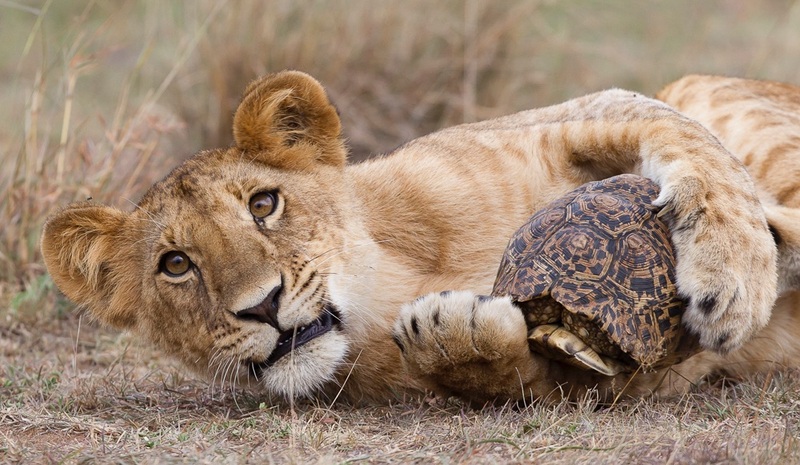 'The Lion and The Tortoise' photographed in the Massai Mara, Kenya. A pride of 18 months old Lionesses were competing for and playing with a Leopard Tortoise. This image reached the final cut of the 2014 BBC/Natural History Museum Wildlife Photographer Of The Year Competition. 46,000 images from 62 countries were entered in the competition. It also featured in National newspapers in both the UK and Germany.